Because you should never import birds on a lark, especially starlings. Welcome to the hottest podcast of 2017, The Thread With OZY, where we explore a series of linked histories. This past season we pulled the thread on the murder of John Lennon. Season Two will debut early next year, but we’re sharing some bonus episodes in the meantime. Check out the latest mini-Thread today on Apple Podcasts or however else you choose to listen! Half an hour before the sun was to set over the yachts anchored in Winthrop Harbor on the clear, golden evening of Oct. 4, 1960, a noise like a sonic boom exploded the glassy calm as residents sat down to their suppers. The boom was the sound of a Lockheed L-188 Electra, bound from Boston’s Logan Airport to Philadelphia, slamming into the water. More than 60 passengers and crew from Eastern Airlines Flight 375 would wind up in the Boston mortuary. 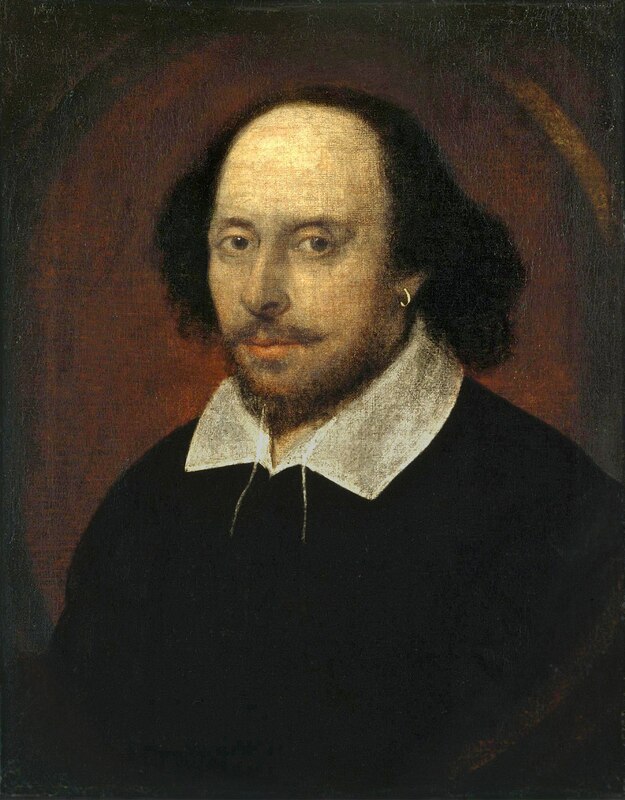 And while the official cause of death listed may not have been William Shakespeare, one of his plays is the setting of the disaster’s first act. As we mark the 400th anniversary of the Bard’s own death, it’s also worth remembering his unfortunate connection to a largely forgotten real-life tragedy. A butterfly flaps its wings in Shakespeare’s mind in the late 1590s, and 365 years later, the Electra plunges into Winthrop Harbor, sparking what remains one of the largest and most remarkable rescue efforts the city of Boston ever witnessed. Starlings may be small, but they are considered a lethal threat by aviation experts. Despite penning close to 40 plays and 900,000 words, Shakespeare makes but a single reference to the starling. From the nightingale to the lark, birds appear in many of his plays, but it is only in the somewhat obscure Henry IV, Part 1, that the starling makes its brief appearance when the rebel Hotspur proclaims that he will train a starling to drive the king crazy by repeating the name of his imprisoned brother-in-law, Mortimer, whom the king refuses to ransom. The seed of a calamity is planted, even if not in the king’s ear. Common, or European, starlings are small, dark, thickset birds with white speckles best known for their often obnoxious ability to mimic almost anything they hear, from alarms to dogs barking, as well as a tendency to hang out in enormous groups, called “murmurations,” that can number in the thousands. They are native to Europe, including Shakespeare’s England, but not to North America, where an estimated 200 million live today. Photo of the crash of Eastern Air Lines Flight 375, a Lockheed L-188 Electra that was brought down by a bird strike in 1960. For that, we have a bird/Bard-loving eccentric named Eugene Schieffelin to thank. A wealthy New York drug manufacturer, Schieffelin was head of the American Acclimatization Society, one of many 19th-century groups dedicated to introducing European plants and wildlife into North America. You see, Europeans living abroad missed their native birds, Kevin McGowan of the Cornell Laboratory of Ornithology tells OZY. This sentimentality often had disastrous consequences, such as the avian malaria carried by nonnative birds that wiped out many native Hawaiian species. Which is how Hotspur’s fanciful starling, nesting in the private library of a Bronx pharmacist, managed to beget millions of glossy-feathered descendants in North America. One winter day in 1890, Schieffelin, as part of an ambitious project to introduce every avian species mentioned in Shakespeare into the U.S., released about 60 starlings into Central Park, hoping they would go forth and multiply. Boy, did they ever, colonizing America much faster than their human European counterparts had ever managed. By 1930, the murmurations had reached the Mississippi; by 1950, they were nationwide, driving out native American species like bluebirds and woodpeckers. Starlings, as McGowan explains, are heavier and more muscular than other birds their size, so they fare very well in the perpetual avian competition for nest sites. One of the starlings’ favorite American nest sites was Boston’s Tobin Bridge, where a murmuration of around 160,000 birds would flock at sunset. Tobin Bridge was likely the final destination for the outbound flight of some 10,000 to 20,000 starlings that collided with Flight 375 that fateful evening in 1960. As Michael N. Kalafatas documents in Bird Strike, the Electra hit the avian cloud just seven seconds after takeoff, sucking hundreds of birds into three of its four engines. It happened so quickly the pilots did not utter a word to the Logan control tower as the plane rolled and crashed almost vertically into the harbor’s shallow water. The scene of the accident was horrific. Many of the passengers were trapped underwater with their seat belts fastened. The bird strike resulted in 62 deaths, and there would have been more had not local residents waded into the thick mud to form a human chain to rescue survivors. Among the passengers were 15 newly inducted Marines and an Air Force engineer with top-secret missile system plans in a locked briefcase. Starlings have also been known to transmit disease, consume cattle feed and entire wheat fields and cost U.S. agriculture around $1 billion a year in crop damage. “When sorrows come,” as Shakespeare put it in Hamlet, “they come not single spies, but in battalions.” Or in murmurations, as the case may be.